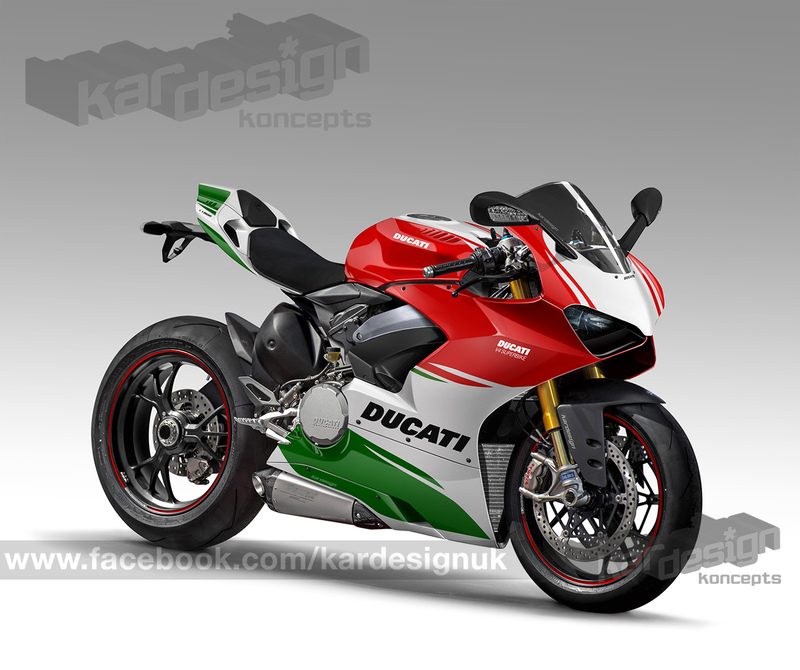 Incredible new details and analysis have been reported by Motorcycle News (MCN) in the UK regarding Ducati’s new V4 superbike and Kardesign were asked to come up with fresh CGIs to illustrate the story. Using all the spy shots currently in circulation, Kardesign has examined every detail leaving no stone left unturned to bring you the most accurate set of visuals yet. You can see some of the previously published spy images on MCN here. The V4 sees a major departure from the L-twin engine configuration as Ducati are keen to guarantee future WSB racing success but engine performance from the current Panigale Superquadro is reaching its upper limits. A V4 motor will allow a higher revving engine and ultimately more power as a result. It’s understood that the V4 won’t make its racing debut until 2019, though a road bike will appear in showrooms next year. 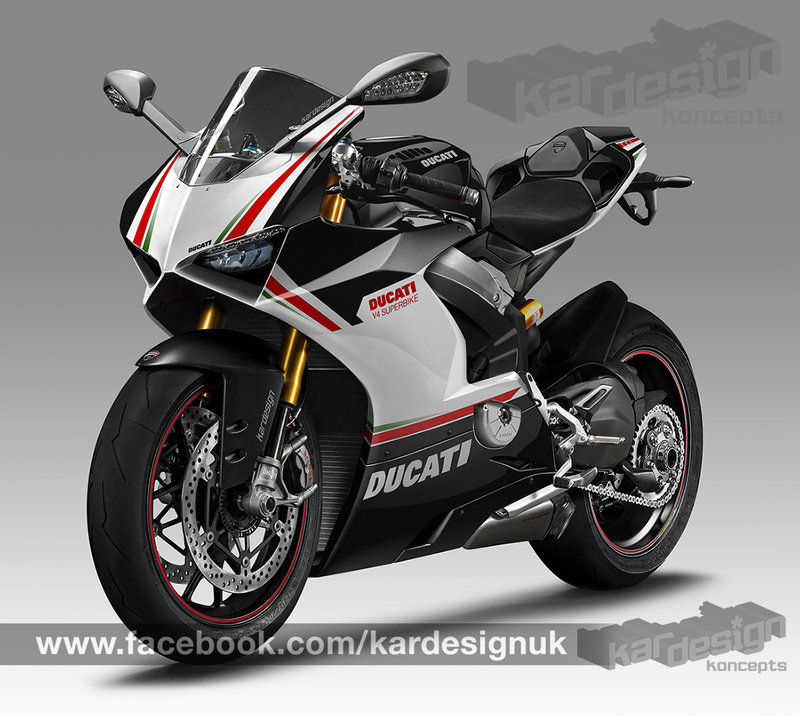 The well-developed Panigale will continue in WSB as Ducati’s entry. 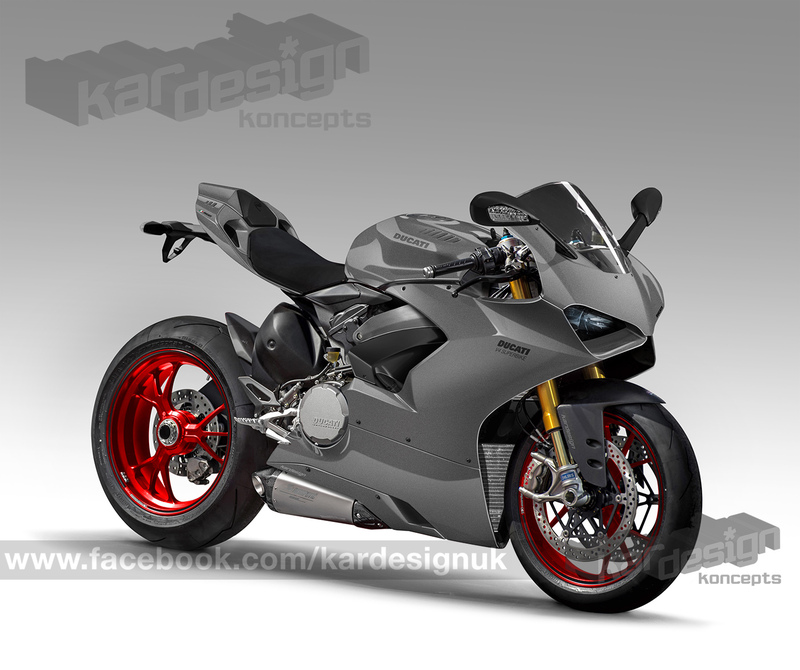 The new computer-generated images show a clear change from the Monocoque of the Panigale to what is expected to be an alloy frame arcing from the headstock all the way across to the rear cylinders which now can’t further backwards to form a ‘V’ rather than the forward-leaning ‘L’ shape. A trellis subframe is shown on the spy images but this is likely to be hidden to echo the simplified lines suggested in the fairing. The tail unit may resemble the Panigale item at first glance but like the rest of the bodywork under closer inspection it is revealed to be quite different. The V4’s will be shorter and feature a revised tail light arrangement. 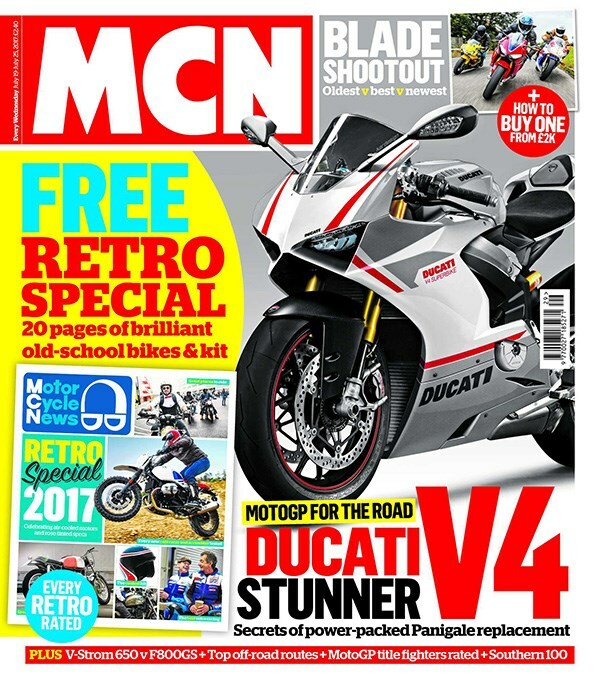 Check out the full story with MORE in-depth analysis and MORE images in MCN, on sale now. Read more here. Ducati has already confirmed that the Panigale moniker will be retained for the V4 superbike too.